Who is an Entrepreneur? What are the characteristics of Successful Entrepreneurs have? So basically let’s revisit these terms first. Entrepreneurship is the process of designing, framing idea, launching and running initially a small business for profit and by taking some risks. And the people who create these types of business are called an entrepreneur. An entrepreneur is basically called to a person working for themselves. In India, startup craze is on cloud nine, especially among youths. They don’t want to work under someone on regular basis from 9-5. Even they are happier for what they are doing and if somehow fails in doing, they take the previous one as a lesson and try to do better in the next one. So ladies and gentlemen tie up your seat belts, We are going to discuss out here about characteristics of entrepreneurs in detail. Here we have the characteristics of Entrepreneurs you should breed in yourself. Although I am not saying that person without these can’t get success but yes possibility is less and require hard work and a little bit of your luck too. When he/she walks into coffee shop, counts the numbers of occupied seats, estimates the revenue from customers currently in the shop, then estimates the hourly revenue from shop, then multiply by 25(let’s say) to gets a day revenue, multiplies by 7 to get revenue of a week and finally by 50 to get revenues of a year. Additionally, he will add some extra for weekends and holidays. Estimates the staff’s costs, rent and other costs and if he is coming out with high profit then he/she will at least spends a few minute thinking about starting a better coffee shop nearby in future. So an entrepreneur should not always behave like a dumb. He/she must have to look around and should be active in getting the ideas. This is one of the best characteristics of entrepreneurs. You all are familiar with this phrase ” Necessity is the mother of Invention”. An entrepreneur should be creative who come up with new solutions to a particular problem that others can’t solve. 3 Engineering students build a million dollar company portrait flip in one year. Because one of his friends ask a portrait as a gift, he searched for it everywhere and got what? actors and actress portrait only. So on that day, they decided to do a startup to provide online portrait from someone personal photo. All good entrepreneurs must have good behaviour with the employees. Because these are the only people who are working for him/her to uplift the company. Along with behaviour, self-discipline is also needed to achieve the target. Entrepreneurs are like an example for others so that others get inspiration from him/her. Trust is also needed throughout the team so that each can give their best. An entrepreneur has a vision to achieve. For that along with his/her hard work and ideas, other team members or employees work for him collectively. So, leadership qualities must be there to manage them and turn their work into the fruitful output. This is basically a key characteristic of entrepreneurs. By taking the risk and start a small business are the basic formulae of entrepreneurship. We can’t explore something new if we can’t do something out of the box. And this out of box solution builds a company or startup. An entrepreneur takes the risk of time and money in that amount only what he/she can bears. A good entrepreneur should be open minded who is ready to accept what comes in front of it and try to innovate it, without thinking like what will the others talk or see it like etc. An entrepreneur has to grab the opportunities and utilize it in the profit of an organization. Like during Kerala Flood in India, Paytm (online money transaction) company started a Kerala relief donation option in its app. This leads to 4.5 million $ transaction done on their app and maintains a strong position in the market. If you fail in achieving something you have to be open-minded and take that failure in a positive way or as learning so, that you don’t have to suffer again from failure in future. This is what we need as entrepreneurial characteristics. A good entrepreneur should never stop learning. Take the example of Bill Gates, He most of the time to read books not only in free time but during office time too. This is one of the best characteristics of Entrepreneurs, this is actually a drag force to keeps us under motivation to do better. Suppose you are stuck with any problem and if you lose your hope, your carrier will going to end. It especially occurs during the initial stage and many freshers left any startup after getting demotivation. Passion is the thing which drives us to work for our goal till late night and spends most of the time in office which actually produces a huge difference. “A goal without planning is just a wish”, You thought of starting a business and didn’t come up with proper planning, you will going to end up that business as the dream which is used to come during sleep. Suppose you want to start an eCommerce website to sell products, and you have only one source to get products. Firstly, You have to plan, how your resources can be improved so that you can’t suffer from out of stock. You should have proper planning about payment gateway whether it will be COD, Paypal or debit/credit card. And apart from all, must have the plan for the delivery of the product to an exact customer without any damages and losses. 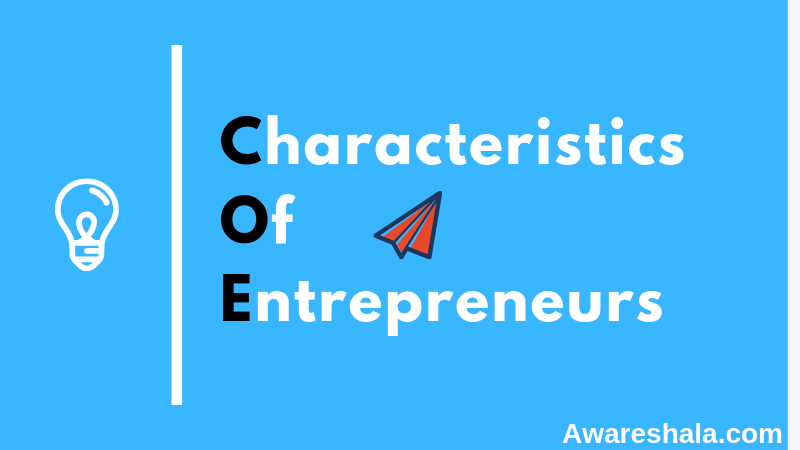 It is the most prominent characteristics of entrepreneurs. Social skills are the soft skills that are required to get success in entrepreneurship. And if you don’t have these skills, you can learn from the people around you. In this way, you can find a better solution to problems because you understand very well what others think and need. Additionally, remember that it is imperative to treat others the manner you want to be treated. These thoughts will bring a positive return. A successful entrepreneur must be honest and don’t tell a lie about the products he/she deliver. You have to fair enough with customers, employees through whom your business is running. This is one of the soft skills you must bear. Eye contact is necessary with the speaker, nod when you agree and raise questions for doubts. This characteristic of entrepreneurs needed very much. To be a good entrepreneur, it’s important for you to sell something that your customers in need. You have to grab the attention of customers through various techniques like advertising and marketing. You should be a shameless self-promoter. You have to remove the thinking from your mind that ” others perception will be bad about me”. Build a top-notch team and make sure that they collectively work for you. You just have to grab some like-minded people who can work with you. Jack ma “Alibaba group” founder is having this entrepreneurial characteristic. Your products should be easily available and accessible to your customers and should be in affordable range. Your funded money or turnover should be utilized in a correct way. For advertising, money should be spent in a way that if you pay $100 then you can earn $500. You have to invest your time and energy in learning. So that you can know about the market and all and emerge as a skilled person so that others can also inspire from you. It isn’t important that each startup is a tremendous achievement. 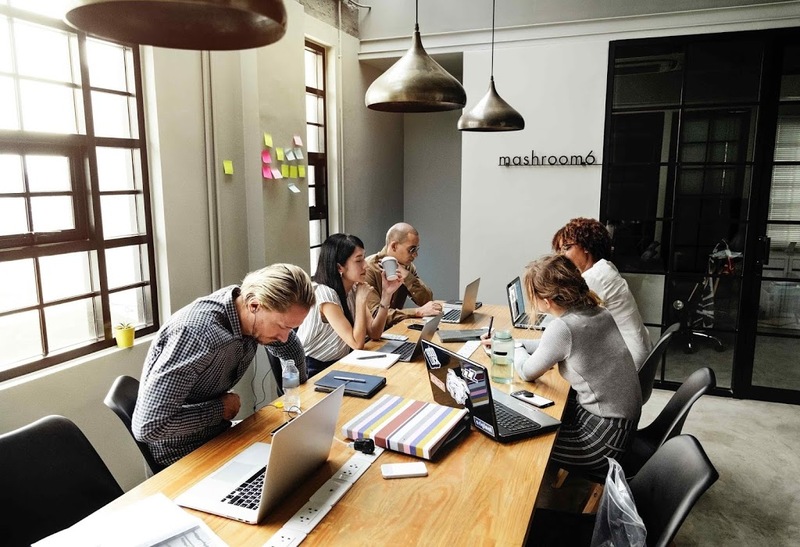 Along with brilliant idea, the ability to work successfully is also one of the best aspects of a business, after that these characteristics of entrepreneurs play an important role. All these characteristics can be imparted in a person. Again I am not saying that you can’t get success without these but you require a lot of hard work and a little bit of luck. What do you think which one is the most important characteristics of an entrepreneur? Let us know what you think.